Colombia has an important cluster community with 80 clusters registered in the Colombia Cluster Network (Red Cluster Colombia), representing more than 21,000 companies. A cluster mapping is available. 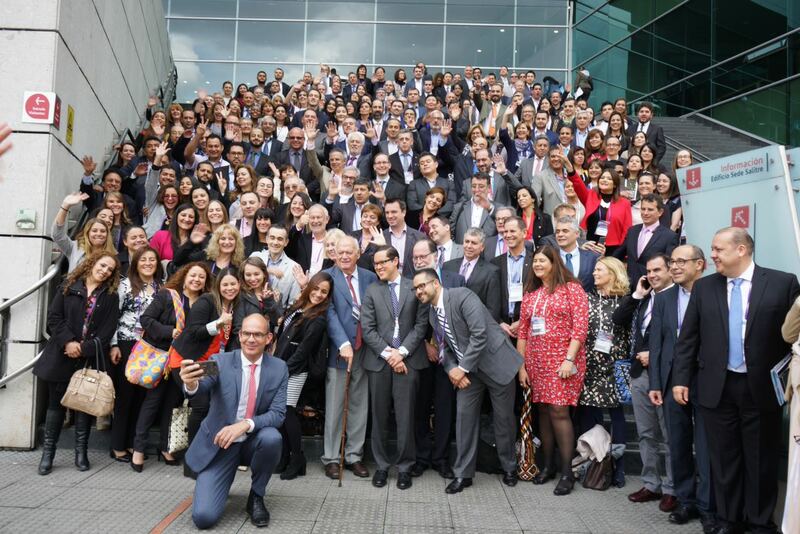 A national cluster policy, the “Programme of Competitive Routes” is implemented in Colombia by INNpulsa Colombia to foster the creation of cluster initiatives. A trade agreement with the EU has been applied since August 2013. Colombia is a dynamic and open economy ranked as an upper middle income by the World Bank, with a GDP of 292 billion USD and registered a growth rate of 3% in 2015. Major industry sectors in Colombia include: textiles, clothing and footwear; food processing and beverages; oil and mining; and chemicals. PROCOLOMBIA oversees the promotion of non-traditional exports, international tourism and foreign investment; and fosters investment in agribusiness (biofuels, aquaculture, etc. ), manufacturing (automotive, cosmetics, building, fashion, etc.) and services (software and IT, outsourcing, tourism, etc.). Colombia is the EU’s fourth most important economic partner in the Latin American region. An EU trade agreement with Colombia has been applied since 2013. Colombia has an important cluster community, with 80 clusters registered in the Colombia Cluster Network, “Red Cluster Colombia”, representing more than 21,000 companies, mainly in the sectors of agriculture and agroindustry, energy, manufacturing, health, ICT and tourism. A cluster mapping is available. It is also a community considered to be young as very few clusters were created before 2011 and a community spreading quickly marked by a dynamic rate of cluster creation (21 clusters created in 2014 and 2015). A list of cluster organisations is included on the Red Cluster Colombia dedicated page. The majority of Colombia clusters conduct R&D and innovation activities and some of them are keen to internationalise. INNpulsa Colombia, a new Development and Innovation Unit under the Ministry of Trade, Industry, and Tourism, has been implementing the Programme of Competitive Routes (“Rutas Competitivas”). This is a national programme to foster the creation of cluster initiatives at the regional level, in 18 of the 32 regions since 2012. This programme is complemented by the creation of the Colombia Cluster Network. The Red Cluster Colombia online portal includes a detailed cluster mapping tool, the list of clusters with contact information, and other information which make it an excellent tool to favour cluster to cluster international cooperation. Colombia is a particular target for a number of ESCP-4i projects in the field of water and energy, natural resources and the environment, sustainable construction and transports. Some matchmaking events have been organised, such as the Colombian cluster mission to Germany in April 2015 organised by INNpulsa. Some EU business networks and cooperation intermediaries are present in Colombia such as http://www.ahk-colombia.com/mitglieder/eurocamaras/. There is no EEN contact point in Colombia.Read less.